Recently, my mom (a fellow fan of Shakespeare) and I saw a filmed version of The Tempest (from the remade Globe Theatre) at Landmark Bethesda Row. 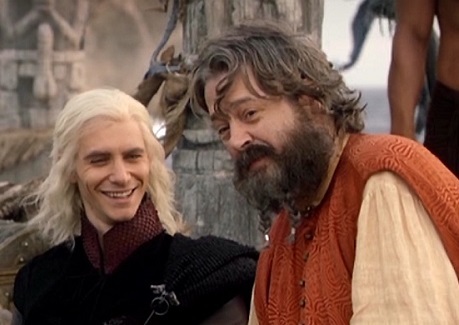 The role of Prospero was played by Roger Allam, who some of you know as Illyrio Mopatis from HBO’s Game of Thrones. Illyrio is a wealthy and powerful Magister in Pentos; he is a dealer in spices, gemstones, dragonbone, etc. For a time, he served as custodian of the exiled Targaryen children and seeks to return them to the Iron Throne. Illyrio also arranged the marriage between the Dothraki leader, Khal Drogo, and the teenaged Danerys Targaryen. The Tempest, in essence, is a small story- the exiled Duke of Milan, Prospero, and his teen daughter, Miranda, are living on a secluded island peopled by magical spirits (including Ariel) and the son of a “witch” (Caliban). Propero carries a wand and wears a cloak when he’s performing magic in this version of the play. 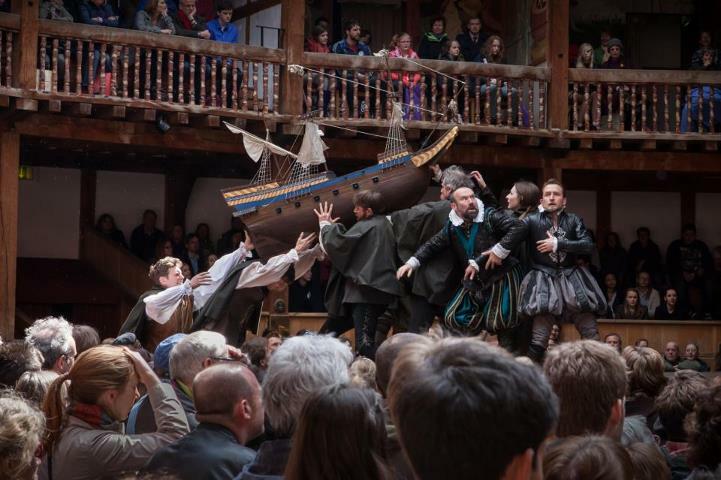 This play contains some of The Bard’s most-quoted lines, including “Oh, what brave new world with such people in it!” Miranda exclaims this when she first sees the men from Milan up close. Until then, she’d only seen her betrothed- Ferdinand, who’s used for comedy in this production (youthful earnestness with wide eyes). Ariel is not feminized, as is often done- he’s handsome, limber (does some acrobatics), and slyly funny. Thanks for the report! This is my *favorite* Shakespeare play. Hope to see Richard Armitage as Prospero someday.